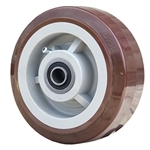 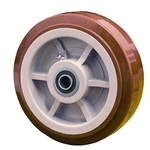 Use smooth rolling Polyurethane wheels featuring lightweight tread mechanically bonded to polyolefin core construction for high capacity applications. 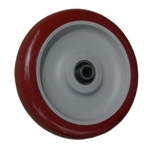 Poly wheel advantages include no flat spots from prolonged sitting, along with non marking and quiet operation. 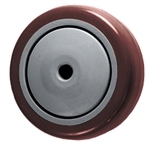 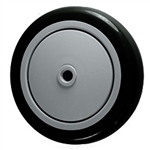 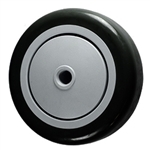 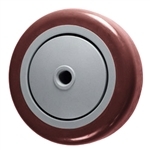 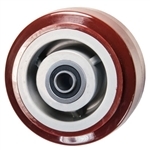 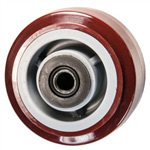 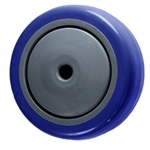 With a high resistance to oil, grease, water, and most solvents, polyurethane wheels are ideal for most environments. 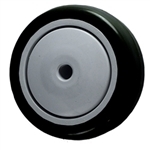 Wheel tread hardness of 90-95 Shore (A) Durometer.